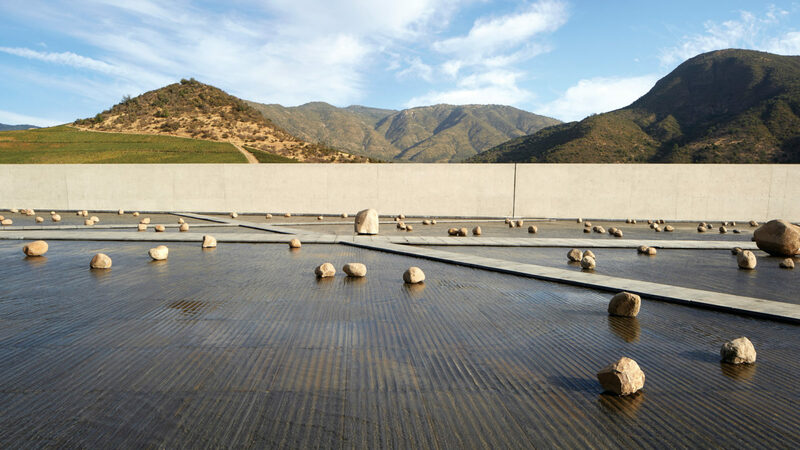 The terroir of Chile’s Millahue Valley is known by natives as the “place of gold.” Travelers reap the rewards when they arrive at the avant-garde Vik Chile retreat and its holistic wine spa. Underneath a wavy, reflective bronzed titanium roof, this museum-style hotel is the mastermind of Norwegian-Uruguayan billionaire, Alexander Vik. Design elements spare no detail down to the wildflower meadow roof envisioned by the owner’s wife. No two suites are alike; all feature eccentric, modern artwork and floor-to-ceiling windows framing exquisite views of the heritage vineyards, lake and the Andes Mountains. 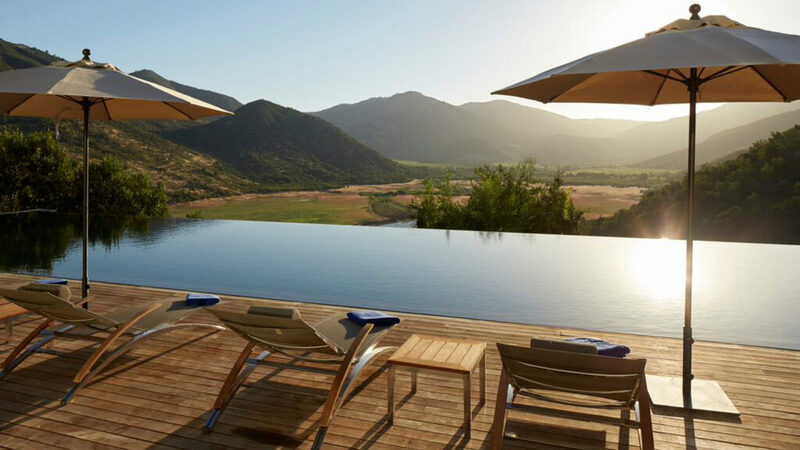 Meals at this surrealist, wine-centric escape are complemented with vintages from the property’s VIK vineyard, and highlight locally grown ingredients with an emphasis on slow-cooked, South American favorites. 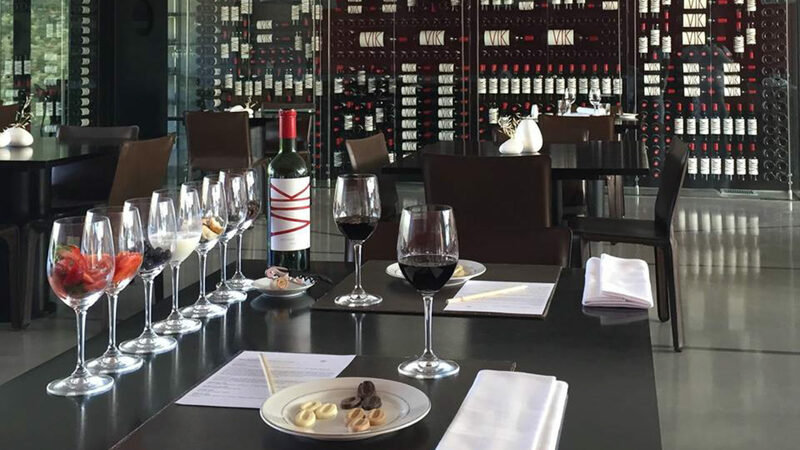 Oenophiles will love the guided tastings. Sophisticated travelers can saddle up for a horseback ride through the countryside, opt for a wine-infused spa treatment or tour the mountain up close via bicycle. Days are unhurried at this chilled-out Chilean escape that is high on viticulture and style, food and art and most importantly, inspiration. Vik Chile is located less than 50 miles from the Andes and 28 miles from the coast.